Faisal Hussain Danforth Toronto shooter: Muslim terrorist or mentally ill? Home Scandal and Gossip Danforth Toronto shooting suspect i’d: Motive remains mystery. Danforth Toronto shooting suspect i’d: Motive remains mystery. Faisal Hussain Danforth Ave- Greektown, Toronto shooting suspect identified as motive remains mystery. Mental illness or Muslim terrorism? Fatal victim i’d as Reese Fallon. 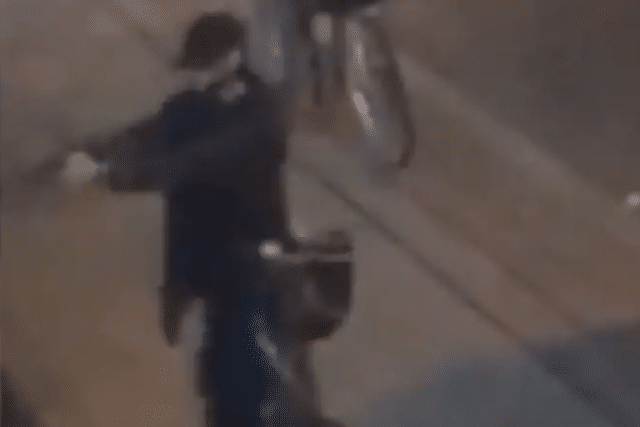 Canadian authorities have identified the 29 year old man who orchestrated Sunday night’s Toronto shooting as being ‘mentally ill’ man Faisal Hussain. The shooting which happened in the lively restaurant area of Greektown off Danforth Ave claimed the lives of two females, an 18 year old woman and a ten year old girl- with another 13 individuals injured. The gunman who fired off no less than 20 gunshots came to a stop after being felled in an exchange of gunfire with authorities. It was not immediately clear whether the Toronto resident killed himself or was killed by police. Up to his shooting death, Hussain, a local Muslim man was described as methodically walking down Danforth Avenue indiscriminately targeting innocent victims, including an 18 year old teen female, who’d tried fleeing the killer only to be repeatedly shot in the back. In a statement, Hussain’s family said their son ‘had severe mental health challenges, struggling with psychosis and depression his entire life’. While adding, ‘The interventions of professionals were unsuccessful. Medications and therapy were unable to treat him. While we did our best to seek help for him throughout his life of struggle and pain, we could never imagine that this would be his devastating and destructive end’. The family members said their hearts were ‘in pieces’ for the victims. Of note, the 29 year old gunman reportedly still lived with his parents, in the Thorncliffe area of Toronto. Neighbors told VICE News of the family having endured ‘intense hardship’ for years. They said Hussain’s father long suffered from Parkinson’s disease and was quite ill. There were four children in the family, however his sister died in a car accident. His one brother was, at least until recently, in the hospital due to a coma and had severe brain damage. Hussain himself had suffered from mental illness for years, they said. Despite the quick statement release by the man’s family (which some thought sounded too co-opted & packaged) and claims of mental illness and difficult upbringing, social media users questioned whether in fact the shooting could have been Muslim terrorized inspired, while challenging the ‘corporate media’s’ claims that the blood-letting was once again the result of another mentally maladjusted individual. VIDEO: Appears to show gunman in #TorontoShooting. Toronto police spokeswoman Meaghan Gray said the victims of the mass shooting included eight women and girls, and seven men. ‘We do not know why this happened,’ Toronto Police Chief Mark Saunders said, adding he would not speculate about the gunman’s motive. While police declined to formally identify the 18 woman and the girl killed in the shooting spree, local MP Nathaniel Erskine-Smith confirmed the 18-year-old victim as Reese Fallon, a recent high school graduate who’d volunteered for Canada’s Liberal party. The woman was due to attend McMaster University in the Autumn to study nursing according to Canadian media. ‘She was … smart, passionate and full of energy. It is a huge loss,’ said Erskine-Smith, who knew Fallon. At the time of Sunday night’s shooting, Fallon had been out with two friends in Danforth for a birthday. Her friends were also shot and were being treated in hospital. The 13 injured ranged in age from 10 to 59, and suffered injuries ranging from serious to minor, Mr Saunders said. Dr Najma Ahmed of St. Michael’s Hospital said five patients had been admitted in serious or critical condition and that three of the five underwent immediate lifesaving operations. Of some concern, media also reported Hussain having previously been spoken-to by authorities about his online activities. What online activities were being referenced remained unclear. Toronto Mayor John Tory avoiding the topic of Hussain’s potential complicity to terrorism inspired groups reminded press agents, Toronto having a gun problem, while noting weapons were too readily available to too many people. ‘Why does anyone in this city need to have a gun at all?’ he said in an address to city councillors. How Hussain, a mentally ill individual was able to garner his cache of weapons remained unknown. The Danforth attack is the second mass casualty incident to occur in Toronto since April, when a van mounted a curb and plowed into pedestrians along a busy street north of the downtown core. Reflected Peter Tabuns, the NDP MPP for the Toronto-Danforth district, Monday morning, ‘Having more officers is probably useful’. Tabuns added that without addressing the ‘root causes‘ of violence, mental illness, including lack of affordable housing and poverty, then it won’t be a long-term solution. ‘We need to address the root causes. Do the analysis as to what’s driving this, and then get at those root causes … clearly there needs to be control of access to guns,’ he said. Left unsaid was the recent antagonism towards Canadian interests and the ongoing tension of immigrant and religious discord. Matters that may or may not have influenced Faisal Hussain. Why? Toronto shooting leads to two dead, 12 wounded, gunman dead. -Where did he get the gun? Is it legal or illegal? -How was pro statement organized so quick/who wrote it? -Where’s his social media account(s)? -Any links to Islamic extremist groups? -Where was he getting mental help? -Was he known to police? “Faisal Hussain” Sad to say to his family. We feel your pain but, he is well trained killer. just look at the stand and the pistol grip and the cap to cover his face. A mental patient ? no way. This is terrorism 101. #TorontoShooter lived in the Thorncliffe Park, home to thousands of Pakistani & Afghan Canadian families. To not address his religious background and political motives is being cowardly. We need to know which mosque #FaisalHussain attended and who was in his immediate circle. Islam is not responsible for the Toronto shooting. Muslims are not responsible, either. One person, Faisal Hussain, is responsible and only he should be held accountable. Don’t allow this tragedy to be an excuse for bigotry.